In March 2019, Alley Theatre produced Judith Fair, a progressive variety show featuring a mix of burlesque, dance, comedy, sketch, theatre and music. The event functioned as a call to action, a night of creativity and education and as a celebration for International Women’s Day. The event took place at the Vancouver Eastside Cultural Centre on the unceded territories of the Musqueam, Squamish and Tseil-Waututh nations. Cherine Amr, Keara Barnes, Chalk. //a dance collective// featuring Shannon May and Lauren Yeung, Alexa Fraser, Rachel Helten and Sophie Brassard, Raven John, Liz Kirkland, Ariel Martz-Oberlander, Larke Miller, Mx Bukuru / Dominique Wakeland, Pulsive Party featuring Ashley Whitehead and Natalie TY Gan, Joylyn Secunda and Zoë Wessler. Judith Fair was hosted by Morgan Brayton and stage managed by Diana Bartosh with musical accompaniment performed by CJ McGillivray. The event was produced by Alley Theatre artistic apprentices Danielle Lavallee and Krys Juan. Thanks to the organizers, crew and all the performers… What a beautiful blend of what Vancouver women performers have to offer. Thanks for all you do. You have me at a loss. You know my name but who are you? Just another American who saw too many movies as a child? Another orphan of a bankrupt culture who thinks he’s John Wayne? Rambo? Marshal Dillon? The year is 1988. On the night before Christmas, John McClane is on a mission to save his wife from German terrorists led by the debonair Hans Gruber. On the 30 year anniversary of this cult classic, District 13 presented a hysterical rendition of the classic film mixed with hit songs from the eighties, from Bob Jovi to George Michael. Photos by Rick Calhoun featuring the cast of Die Hard: The Musical, on stage from September 5th to 16th, 2018 at Studio 1398 as part of the Vancouver Fringe Festival. Amy Dauer, Frano Marsic, CJ McGillivray, Richard Meen, Ryan Scramstad, Matthew Simmons and Victor Ustare. Written and Directed by Mark Vandenberg with music direction by Rick Colhoun, choreography by Paige Vassos and stage management by Emily Wilson. A silly and hilarious action-comedy full of meta-commentary on the eighties, and a fitting tribute to one of the most perfect, crowd pleasing action movies ever made… Vic Ustare, Amy Dauer and CJ McGillivray showed great versatility in their multiple roles. A fun, traditionally comedic jukebox musical with some clever twists. The unforgettable journey of We Three follows a trio of new friends through a world of colours, textures, song, and interactive play as they learn who they are, the importance of friendship, and what it means to find your place in the world. The charming script by local playwright Meghan Gardiner introduces little theatre patrons to storytelling and music.Young audience members can sing and dance along and explore the five senses in an intimate drama experience that allows them and their caregivers to enjoy theatre on their own terms. Photo by Jenny McDonald featuring the cast of We Three, on stage from June 5 to 17 at Carousel Theatre for Young People. When love first falls upon his knee, his mother heals him with a kiss. And this is how love comes to learn, hurt is succeeded by a bliss. But hate knows that every single wound leaves a scary that lasts forever. And hate knows that every story ends on a dark and raging river. After the collapse of civilization, a group of survivors share a campfire and begin to piece together the plot of an old Simpson episode entirely from memory. Seven years later, their recollection and other snippets of pop culture have become the live entertainment of an apocalyptic society, sincerely trying to hold onto the past. Seventy-five years later, these are the myths and legends from which new forms of performance are created. Mr. Burns is an animated exploration of how the pop culture of one era might evolve into the mythology of another. Photo by Duy Nguyen featuring the cast of Mr. Burns, on stage from April 3rd to 21st, 2018 at Studio 1398 in Vancouver, BC. Direction and choreography by Madelyn Osborne with original music composition and musical direction by Katerina Gimon; production management by Matt Clarke, production coordination by Mark Ferns, production design by Johnny Hamilton, set design by Heipo Leung, set construction by Andrew Duffy, lighting design by Jono Kim, costume design by Johnny Hamilton and Madelyn Osborne, mask design by Sarah Elizabeth, sound design by Matt Clarke, props by Caitlin Main, stage management by Diana Bartosh with assistant stager Olivia Etey; assistant musical direction by Gizelle Rocha and publicity by Julia Siedlanowska with directorial assistance from Dayna Hoffmann and Madelaine Walker. Produced by Little Mountain Lion Productions. The play is given extraordinary life by director and choreographer Madelyn Osborne, musical director Katerina Gimon and a ridiculously talented cast in one of the best productions of the year… What a pleasure to watch this cast in action. The ensemble work is uniformly strong… Multi-instrumentalist McGillivray has a lovely voice, as do they all. Their singing, rapping and dancing, physical and vocal percussion and background harmonies give the Simpsons story new vibrancy. I feel like I was kidnapped and taken to surprising places, places that I hadn’t known I wanted to go… Musical director Katerina Gimon has created a complex original score for this mounting and this seven member cast sings it very well… Gimon exploits the talents of individual actors, so CJ McGillivray gets a touching ukulele solo as Lisa and Matt Montgomery turns into a tap-dancing feline rhythm king as Scratchy. The ultimate payoff is incredible and will set minds reeling for days to come. It is the type of work that merits multiple viewings to better appreciate the layers of nuance and foreshadowing that are inevitably missed the first time. Good Day and Good Night is a delightful, interactive play written by Kayla Dunbar and Dustin Freeland with original music composed by CJ McGillivray. Ideal for young children, from newborns to toddlers, the story was presented by Carousel Theatre for Young People in June 2017. When they first meet, the Sun and Moon seem too different to even be friends. The Sun is confident and popular whereas the Moon is shy and easily overlooked. But through playful songs, an incredible adventure and a little help from their animal friends, the pair learn to accept their differences and become lifelong friends. Directed by Carole Higgins with original composition and musical direction by CJ McGillivray, costume design by Kiara Lawson, set design and props by Sarah Mabberley and dramaturgy by Jessica Gutteridge; stage managed by Ashley Noyes. The original music for Good Day and Good Night was written for piano, ukulele, melodica and flute. The playful score made use of bouncing rhythms and pleasant, quirky melodies, ideal for children to move around to and for caregivers to hum along with. Here are some samples of the musical score composed by CJ McGillivray. What a treat for the littlest theatregoers among us. Good Day and Good Night is a thoroughly charming show for babies and toddlers that is engaging without being condescending… Live musical accompaniment by CJ McGillivray on a variety of instruments adds to the fun… Sweetness, simplicity, and virtuosity are the magic ingredients in this piece, which enchants the very young. Are we writing for art? Is art a springboard for fame? Will fame get us a pay check but will a pay check mean that we’re sellouts? Frequently hilarious, occasionally heartbreaking, and thoroughly inspiring, [title of show] is a love story celebrating individuality and creativity, written by Hunter Bell with music and lyrics by Jeff Brown. Two nobody musical theatre nerds make a pact to write an original musical in three weeks. They follow the old adage to write what you know and set off on the unique musical adventure of writing a musical about writing a musical. Deadlines loom, insecurities creep into the creative process and jealousies flare. This intelligent, playful musical offers an inside look at the tough work of being an artist. In August 2016, Play on Words Productions presented [title of show] at Studio 16 in Vancouver, British Columbia. 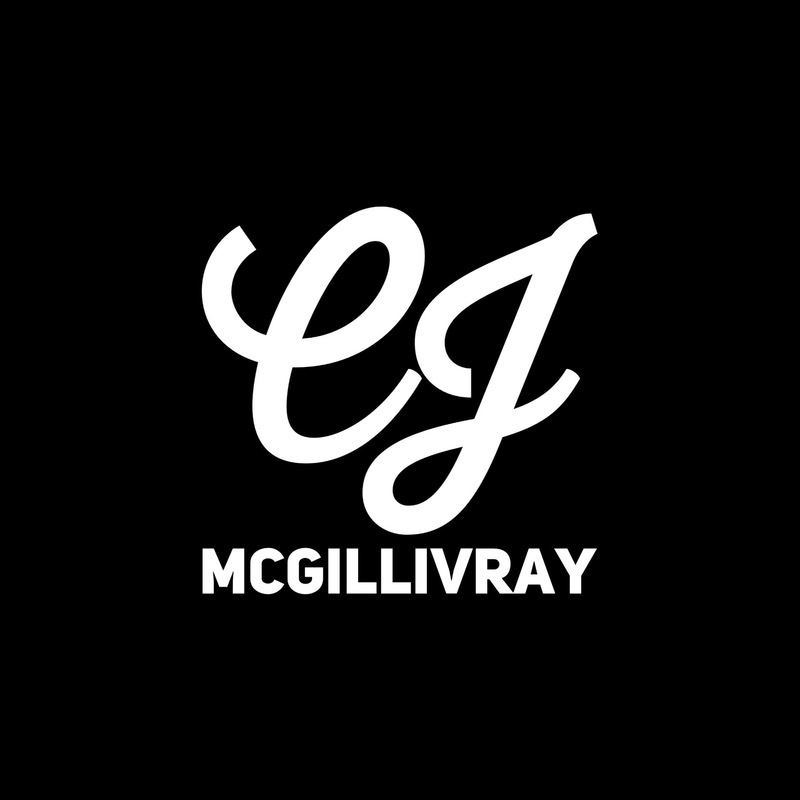 CJ McGillivray was honoured to come on board as the production designer for the show, facilitating the look and feel of the performance from start to finish. Her role encompassed sound design and creating extensive projections in addition to sourcing props, costumes and even a minimalist set. On My Walk tells the delightful tale of Sonny and Breeze, who adventure through the seasons as they sled, hike, swim and bike. Though friendships can sometimes be tough and sharing can sometimes be difficult, having each other makes it all worthwhile. On My Walk is an interactive, playful story which invites very young children and their families to take part, clap, sing, and move together. The energetic ensemble includes Victor Mariano, CJ McGillivray and Marcie Westman. Photo from Artslandia featuring cast members Victor Mariano, Marcie Westman and CJ McGillivray with creative team members Jessica Mann Gutteridge and Shizuoka Kai at the 2017 Jessie Richardson Theatre Awards. The team from Carousel Theatre for Young People celebrated four nominations for their production of On My Walk. CJ McGillivray was honoured to receive a nomination for Outstanding Artistic Creation, Musical Composer. Directed by Carole Higgins with assistant direction from Kayla Dunbar and original musical written and performed by CJ McGillivray. Set design and props by Shizuka Kai, costume design by Kiara Lawson, stage management by Ashley Noyes and dramaturgy by Jessica Mann Guttering. On My Walk ran from June 7th to 18th, 2016 and was presented by Carousel Theatre for Young People. The script was adapted by Marcie Nestman and Kari-Lynn Winters, based on the storybook written by Kari-Lynn, illustrated by Christina Leist and published by Tradewinds Books. “What does it mean if you integrate theatre that early in a child’s life so it becomes something you do, so it becomes the fabric of what you do and something that you want to participate in and makes you feel good?” asked director Carole Higgins in an interview regarding her production of Dot and Ziggy with Carousel Theatre for Young People. Created by Linda Hartzell and Mark Perry, Dot and Ziggy falls under the category of theatre for the very young. The gentle and immersive storytelling experience took place in an intimate studio space at Carousel Theatre. During the show, toddlers and babies were encouraged to move around and interact with the performers as they experience theatre, puppetry and song. With genius simplicity, the script explored the burgeoning friendship of a ladybug and a skunk who live side by side but have nothing in common. Both of the creatures have trouble sharing but with some help and understanding, they embrace kindness and sharing in order to make everyone happy. The small ensemble featured award winning actors Kayla Dunbar and Dustin Freeland with a lighthearted musical underscore performed by CJ McGillivray. The production ran almost every morning from June 2nd to June 14th, 2015 at Carousel Theatre on Granville Island. The production was nominated for Outstanding Production in the category of Theatre for Young Audiences at the 2016 Jessie Richardson Awards.